Disseminated intravascular coagulation, a condition in which blood clots form throughout the body. 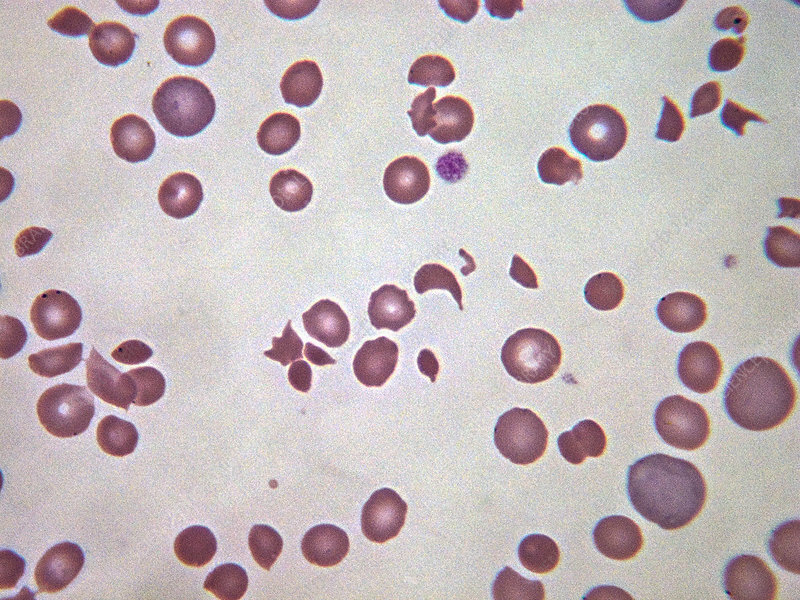 Microscopically, red blood cells show various abnormalities. Light micrograph, Wright-Giemsa stain. Magnification: 100x.